Busy weekend! | Rosi G.
What do you guys think? Any experience with any of these? Tano also finished repairing the whole in the wall. While we were at closing, the kids were at the empty new house with my cousin, Gary. They started playing hide and seek and Gary scared Alex, who jumped through the wall – well, almost. 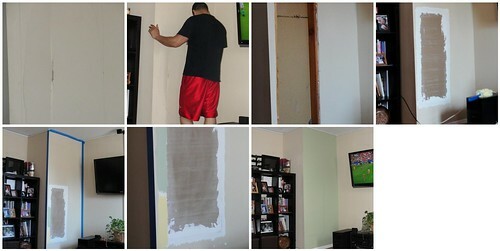 Since we couldn’t find the same exact color of paint, we went with a different color (my friend Joanne’s idea) so it’s now an accent wall. You can barely see the outline of the original cut out. We should’ve probably taken out the whole piece of sheetrock in that area instead of the smaller rectangle, but all in all, it’s not too shabby for Tano’s first wall repair, is it? I think he did a great job. And before you think I’ve given up completely on knitting and gone full-time into gardening, please answer my poll before! Your answers will be much appreciated!! Thank you! What's your view on individual pattern prices? If it's $5 I'm more likely to purchase it right away. Anything above $6 is just way too much. $6 is ok. I prefer free patterns and won't purchase any at all. None of the above (please leave a comment). Previous PostA survivor!Next PostNice mailbox! I’ll download free patterns, just to have around, if it’s something I might make, sometime. Other than the Haiti fundraising patterns on Rav, I’ll only purchase a pattern if, say, I’m looking for a pattern for my next project. For socks, I won’t purchase any pattern I’m going to have to fiddle with to convert it from 8 stitches/inch to a more reasonable, to my taste, 9-11 stitches/inch, though I’ll happily fiddle with free patterns to make them work. For those that I do purchase, what I’m willing to pay depends on the complexity of the pattern. I don’t think the African Violets will live outside. I’ve never seen AVs outside–too cold! 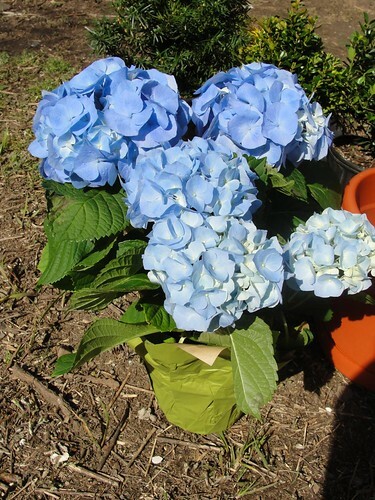 I believe the color of the hydrangeas will be dictated by how acidic your soil is–just wait til the end of June when you’ll see the neighborhood ones bloom. Check out the variety of colors. Well, I chose 6 USD, but that is for a simple pattern. If it is a complex pattern with lots of pages/charts/explanations for techniques and so on, I’m willing to go as high as 12-15 USD, but then I think you should mention it in the description of the pattern… Recently I bought a 10 USD pattern and it was a 1-page deal… not proof read or anything and for me that was a total rip off! No matter how cute the sweater was. Bezzie is right – the African Violet will not survive outside. And she’s also correct on the Hydrangea being dictated by the acidity in the soil. 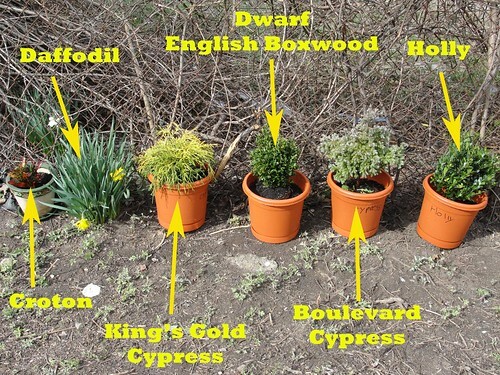 You may want to locate a good nursery on Staten Island and talk with them. They will have plants that are suitable for the climate and they know lots about the right care, etc. Home Depot doesn’t have that expertise on staff. I’d pay $5-7 for a pattern. Reminds me… I need to get my hands on that gorgeous vest pattern of yours. I’m willing to pay $5 – 7 for a pattern, although I have gone as high as $14 but that was a very involved pattern and the designer gave lots of options. If its 5, depending on what it is I’m more likely to purchase it. It has to be a really special pattern for me to spend more than that. If I want to make something specific I always browse free patterns. If I come across one that I love and it costs a few bucks, I’ll buy it. Not sure if that helps but I hope so! No experience with any of those plants, but that hydrangea is so pretty! Since I’m working on my first for-sale pattern, I’ll be very interested to see the results of the poll! If I really like a pattern, I am willing to pay money for it…. $5.00 is good and even $6.00 is not bad. I am willing to pay for a pattern if it is worth the price and it is something I like as well as downloading free patterns. I love your choice of perennials and plants. 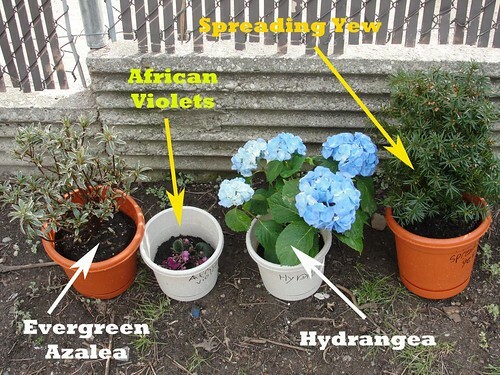 African violets. Lovely but yes they are indoor plants. I am loving it, loving it. It is all coming together now. To me it depends on the pattern. If it has elaborate tutorials and step by step instructions I am happy to pay more. I think I’ve paid up to $12 for one pattern but the info in it alone was worth it.